The Center's staff is currently focusing our efforts in three categories of Great Plains study: the history of homesteading, Native American culture and issues (both historical and current), and conservation via ecotourism. Many of our projects, events, and publications touch on one of these three Center pillars. Great Plains Fellows, as well as Center staff, work on many other topics within a wide, interdisciplinary range. When land is privately owned, like so much of it is in the Great Plains, conservation comes down to the efforts of individual landowners. Nature-based tourism, which pairs landowners with those wishing to see (and pay to see) beautiful scenery and wildlife, is one way to increase conservation on the Great Plains. It both creates incentives for landowners and inspires those who experience it to become stewards of the land. Through scholarly works, partnerships, speakers, and record compilation, this work seeks to explore and explain homesteading in the Great Plains. Between 1863 and 1961, approximately 1.6 million homesteaders successfully staked their claims and obtained title to their land, making homesteading an important force in land ownership in the West. 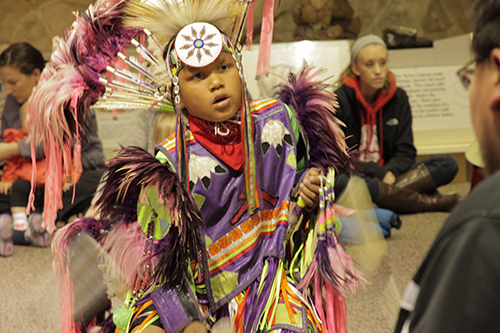 The Center is committed to increasing the scholarship about and appreciation for Native American history, cultures, art, and peoples. Many of the Center's Fellows and Graduate Fellows are doing work in this area of study. In partnership with local tribal leaders, the Nebraska Commission on Indian Affairs, and Native scholars, writers, and other collaborators, the Center has completed several projects.